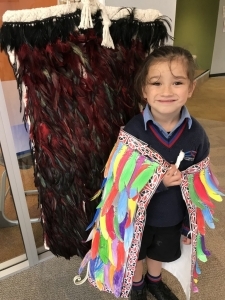 This coming week there are many opportunities for you as a school community to participate in learning/ka ako, loving/ka aroha and serving/ka manaaki (our school’s vision statement). We hope that you will join us for some of these activities! LEARNING … On Monday 24th September evening, the Senior Leadership Team/Manutaki will facilitate a Health Consultation meeting with families/whanau. This will be held in the staffroom at 7pm. This is an opportunity for you to share with us the health and well being knowledge and skills that you would like your child to be learning and developing through the school health programmes. Do you have concerns about emotional well being, skills and strategies for keeping safe, food and nutrition, physical development, cyber safety, bullying … then come along and share with us so together we can plan ways to respond to the needs of our community. 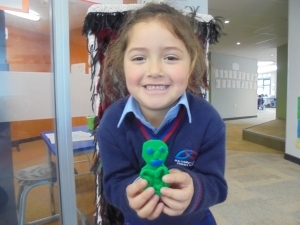 LOVING … Come along and attend the School DISCO this evening, 6:30pm – 8:00pm in Taamaua/Hall. This will be a fun night especially for the children and we’re hoping to see parents on the dance floor too. This is a great way for our families to meet together as a community and to get to know each other a little more! Wear your BEST “Sparkle and Glitter”. Thanks to the PTFA for organising and hosting this community time. SERVING … Can you spend an hour or so wth us this Saturday morning (22nd Sept) 9am – 11am to help weed and maintain our school gardens? Please bring along garden tools and brooms etc. Many hands make light work and it won’t take us long! SERVING … one of our Parishes, St Mary’s Papakura is holding a Karaoke Night on Sat 22nd Sept in OUR SCHOOL HALL/Taamaua! This is a family night filled with lots of entertainment and is a fun way to help fundraise for the needs of the Parish – please come along and support our Parish family! 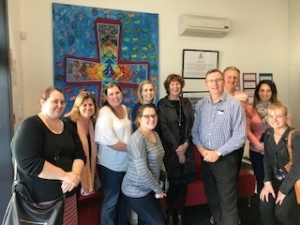 Yesterday, we hosted staff from 2 catholic School in Cairns, Australia. 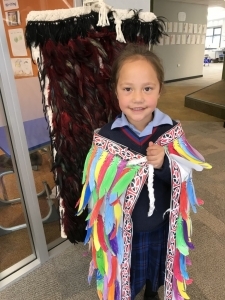 They were very moved by the warmth of welcome shown by our students and staff during the Whakatau. We were able to share our school’s establishment journey with them as one of the school’s was also similar to us, having just opened in 2016. 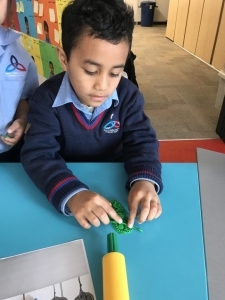 The teachers and principals were impressed with the learning environments and the way our students were working … independently, in pairs, in groups … and very engaged with their learning tasks. It was lovely to hear our visitors being so complimentary of the school! Our visitors gifted us with some beautiful Australian picture books for our school library and also some Mary MacKillop reflection books for staff karakia. They will all be put to good use! Early next week, parents/families will be able to log into LINC-ED to view your child’s digital reporting comments for the Learning Areas of Religious Education, Health and P.E. and The Arts. Please take the time to sit alongside your child so they can discuss and share their Term 3 learning successes with you. We will alert you through a Linc-Ed notification once the reporting comments have been published. A huge THANK YOU to you for all your support on our Charity Can Drive Week. It was a team effort and together we collected 329 cans. Our four Family/Whanāu Groups worked really hard and MacKillop Whanāu manage to collect the most can. 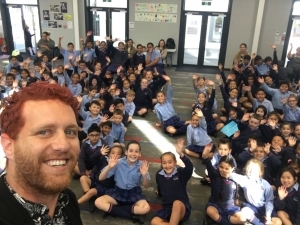 We congratulate MacKillop Whanāu and thank Mr Williams for offering his hair for a good cause. 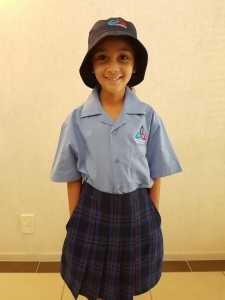 From the Auckland schools alone, we managed to collect 21,000 cans! It’s an awesome way to help support our Auckland families who need food during the Christmas period. We are all made in the image of Christ, so let us see the face of Christ in others. Ka mau te wehi Holy Trinity whanāu. 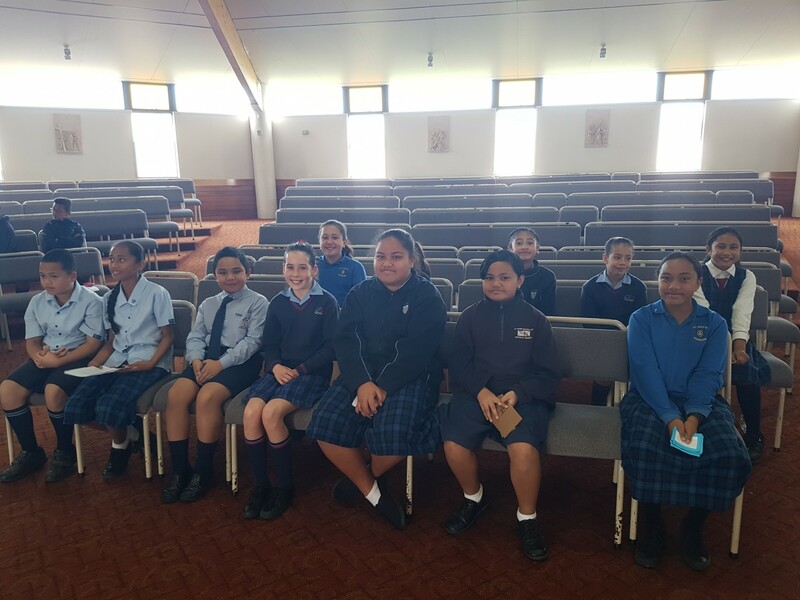 On Thursday 27 September, we’ll be celebrating our End of Term Mass in Taamaua at 9am. Our children will be leading us in Mass with a focus on the theme of ‘Service’. 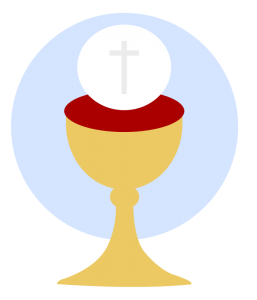 We welcome Father Brian Prendiville of St Anne’s Parish, Manurewa who will be our celebrant for the day. You are welcome to join with us as we celebrate another term of success! Our thanks go to Rose and Luke King who are the owners of our SKIDS Before and After School Care and Holiday programmes, for the many ways that they support our school … providing bus transport for our school events, providing prizes for the school Disco, providing vouchers for families, providing treats for the staff and always being prepared to lend a hand with school events. Thanks Rose and Luke for the wonderful way you exemplify such a generous spirit of service! 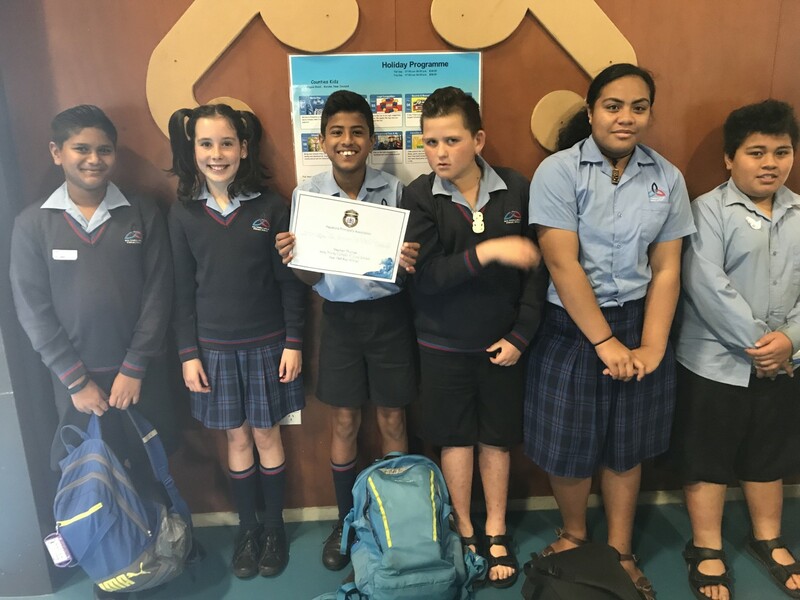 A big congratulations to the students that participated in the Kiwi Competitions. We had students involved in Maths English and Science tests. 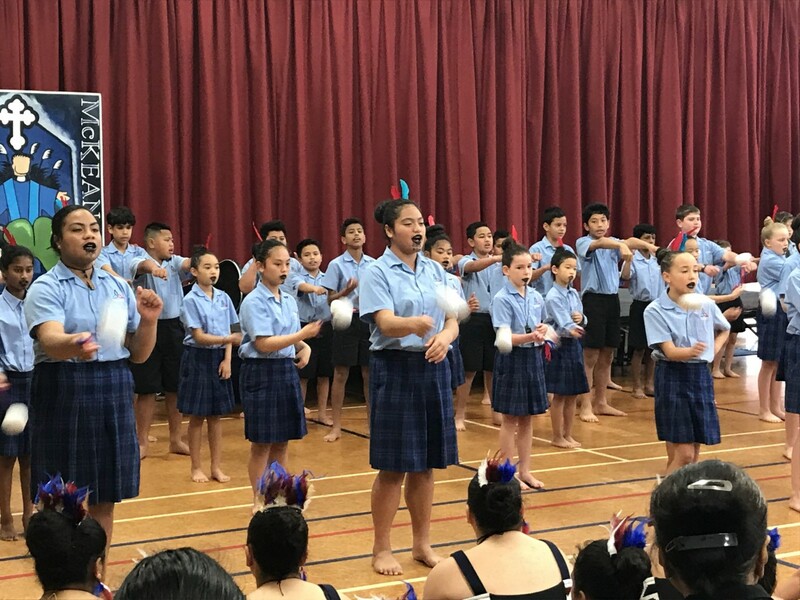 Learning Communities Maunga and Moana students went off to Holy Cross School Papatoetoe this week to perform at the local South Auckland Catholic Schools Kapa Haka celebration. Six schools presented their haka and waiata. Our students represented Holy Trinity with pride and mana. They looked fantastic and showed Unity, presenting as a group. Congratulations to our kaia, leaders, Rosaline, Aimee, Tiana and Mikaylar who led the group well and Lucas and P’torio for leading the haka. Congratulations, we are all very proud of you! Kia kaha! Google Photo Album Link – Here is photo and video of the performance. 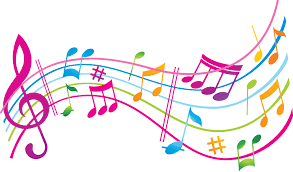 Congratulations to Aimee P. and Robin C. who have passed their Modern School of Music practical examination. Aimee with Distinction and Robin with Merit. Well done and keep practising! 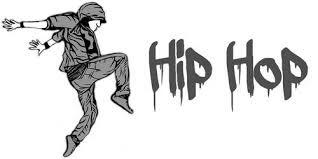 We will be providing Hip Hop lessons again next term. Lessons will be held on Thursdays between 11am and 1pm. If you would like your child/ren to participate please fill in the form below (a separate form for each child). Sign up form MUST be completed by TUESDAY – 16 OCTOBER – Week 1 Term 4. Payment must be made by the end of Week 2, Term 4 – Friday 26th October. Lessons will again cost $25. My name is Freya and on Tuesday the 11th of September, I went to St Anne’s School with our two speech finalists Aimee and Eva to support them. I thought it was amazing to see 10 inspiring speeches and there were lots of positive key messages shared by really confident and loud speakers! I really liked the speeches with humour, like how to survive school and being a middle child and also how to deal with brothers. Aimee and Eva were awesome, and did really well too. I hope I get to go next year and that I get to speak to the world in an inspiring way too. In Learning Community Awa, we have been learning about the concept of Service. 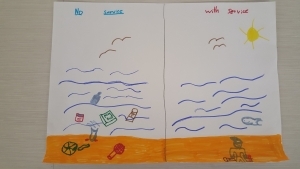 We have been talking about the difference between a need and a service. After looking at photos of people who provide a service in our community, we have discussed how services help make our world a better place. Now we are learning about how we can use our strengths to meet the needs of others by providing a service. Over the holidays, a booklet will be sent home for students to record acts of service they perform during the break. This will help them prepare for a service they will perform in Term 4. 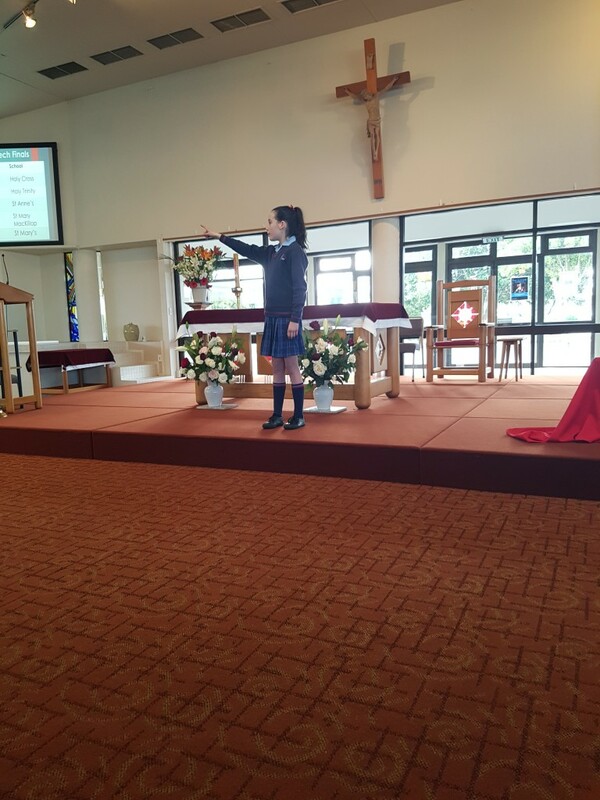 We had 6 students represent Holy Trinity at the Papakura Cluster Speech Competition at Hingaia Peninsula School. Avian and Isaiah shared their Flash Talks, Aimee and Rosaline shared a prepared speech and Stephen T. and Lucas shared a rap. Everyone did an amazing job up on the stage, especially Stephen T. who WON the Year 7&8 Rap section! Watch out Kanye, here comes Stephen!!! Our Year 5&6 Boys football team, after placing 2nd at the local Papakura Cluster Tournament, went off to the Counties Manukau Regional Tournament. 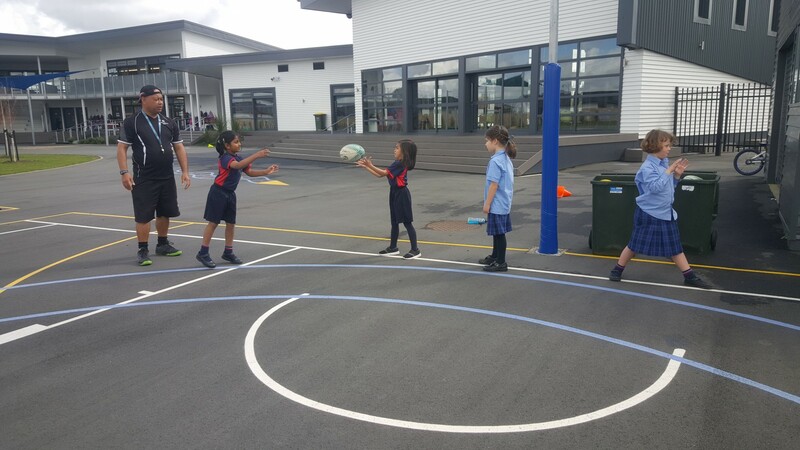 We played against the best school teams from all across South Auckland. We played well, giving 100% on the field and placing 8th at the end of the day. Well done boys for showing resilience and excellence, giving your all and digging deep throughout the day! We will be holding our annual swimming lessons in Term 4 at Massey Park Pools, Papakura. Students will be travelling by bus and engage in five x one hour long lessons/skill sessions and water exploration. 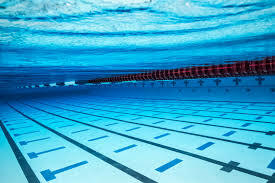 Swimming is an essential skill for children in New Zealand and is part of our Health and Physical Education Curriculum. More information will be coming out through Linc-Ed next week. Companion Training Workshop: Seasons for Growth is a peer support program which assists people of all ages to understand and manage the changes they experience when a significant loss occurs. We are looking for volunteer Companions (adult facilitators) who would be willing to assist in the delivery of this program in schools and the community.